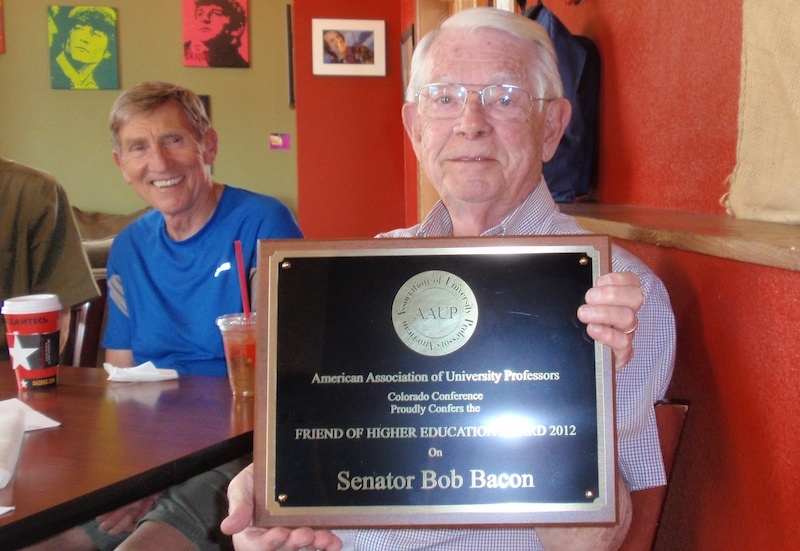 Senator Bob Bacon received the Colorado Conference’s Friend of Higher Education Award on June 12 at a small gathering in Fort Collins. Photographs of the event follow. 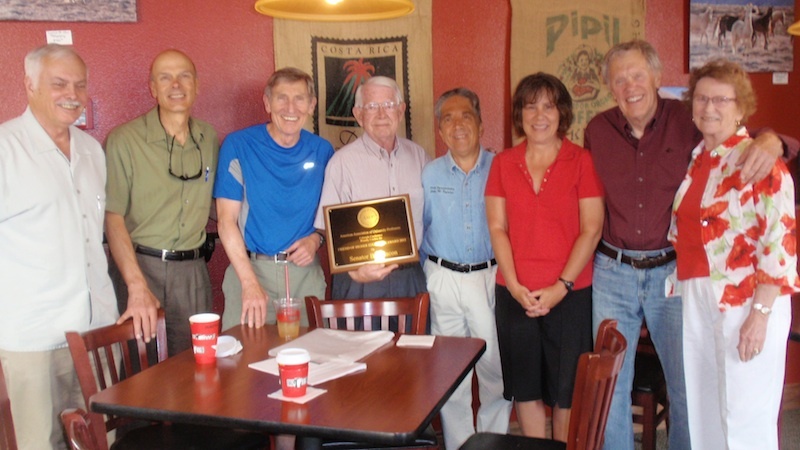 From left: Steve Mumme, Senator Randy Fischer, Ray Hogler, Senator Bob Bacon, Senator John Kefalas, Sue Doe, John Straayer, and Bob’s wife Bev.